Over the past several weeks, tractor trailers have been in the evening news. Sadly, the reasoning behind their evening debuts isn’t for something positive, but due to accidents involving tractor trailers. On April 15th, around 10:30pm, a tractor trailer was reported overturned on the ramp heading from Interstate 895 going to Route 295 in Lansdowne. The driver was retrieved from the truck and flown to Shock Trauma, but there has been no word on the driver’s condition. Then, just yesterday, a tractor trailer crash took place on Interstate 95 northbound. The accident took place in Arbutus near the Howard/Baltimore County line and caused traffic jams within the area. At Evan Transportation, we make sure all of our drivers receive the proper training to keep them safe while on the roadways. Our drivers have years of experience before getting behind the wheel, so beginners mistakes are rare. 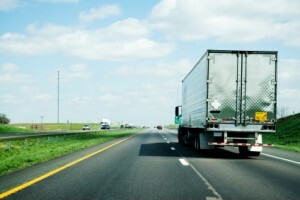 Our drivers are familiar with the roadways and highways they use when transporting product, so routes taken are the most efficient and safest for our drivers and product alike. Call us at (443)-673-3365 or click here today. You can also find us on Facebook, Google+, Pinterest, Twitter, and LinkedIn. It’s no secret that a major problem today is the quality of air in which we breathe. As the number of vehicles on the road increases, the amount of pollution that is released into the air increases as well. 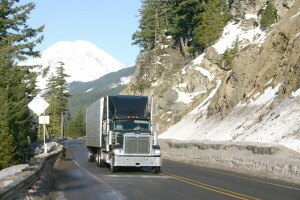 Civilian motorists are constantly finding ways to help improve the air quality, but can truckers do the same? With our large vehicles and heavy loads, it could almost seem impossible to help in the cleaning of our air, but it is possible with taking little steps along the way. Drive smart- This includes driving the speed limit, taking the most direct route, and not engaging in aggressive driving. Fuel smart- Make sure to use safe engine oil, and have regular oil changes. Replacing air filters helps as well. 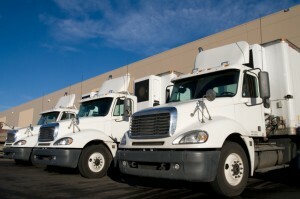 Load smart- When loading product onto a truck, make sure that everything being loaded is necessary to the trip. Balance the load throughout the truck bed to distribute the weight evenly. Be aware of how large your engine is along with your vehicle. 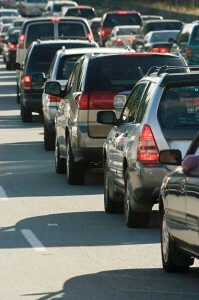 Try not to idle your vehicle to prevent wasting gas, as larger engines tend to waste more gas. . Low-sulfur diesel oil, as well as new engines and filters for our trucks help to reduce our emissions as well. It never hurts to inspect your truck before any trip, no matter the distance. Full tires will help to save gas, so make sure to include filling up on air as part of your inspection. 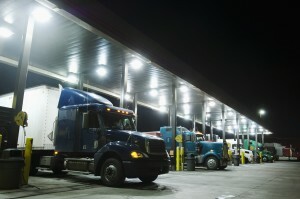 For the past 24 years, the ATA has been able to reduce the carbon footprint truckers are responsible for, and continue to find innovative new ways to keep reducing that effect. Ever since 1992, Evan Transportation has always been concerned with the safety of our drivers, and that includes the air in which they breathe. When choosing Evan Transportations for any of your trucking or transportation needs, know that we use the knowledge of the ATA to ensure our carbon footprint is as small as possible. Located in the Baltimore, Maryland, we are also available to service the Virginia, West Virginia, Delaware, Pennsylvania, and New Jersey areas as well. Give us a call at (443)-673-3365. You can also find us on Facebook, Google+, Twitter, and LinkedIn.